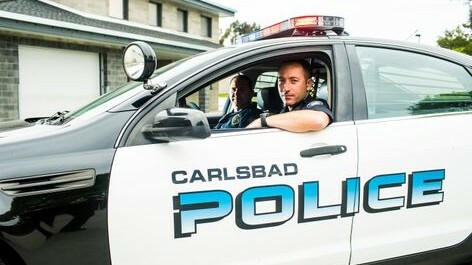 Carlsbad Police cruiser. Photo courtesy Carlsbad Police. The discovery of an unattended bag at a Vons supermarket in a Carlsbad strip mall prompted an evacuation of the store Thursday until authorities determined that the sack contained a few pairs of shoes. A caller reported the presence of the possibly suspicious black plastic bag at the supermarket in the 6900 block of El Camino Real in Carlsbad shortly before 10 a.m., according to police. The management of the store cleared everyone out while a bomb squad was en route, Lt. Greg Koran said. The personnel investigated, determined that the bag contained nothing more than footwear of unknown origin and gave an all-clear shortly after 12:30 p.m., the lieutenant said.